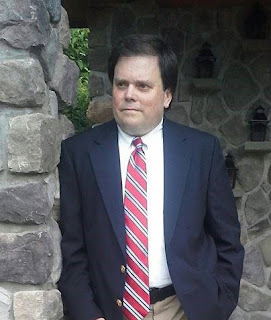 The Thursday Interview: Mark Mueller. 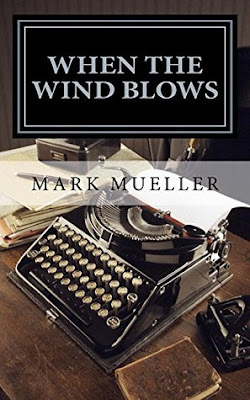 Today I'd like to welcome Mark Mueller, author of 'When The Wind Blows' to The Thursday Interview. Before we get started, a quick intro! I was born in Pittsburgh, PA and grew up in Basking Ridge, NJ. A graduate of Kean University, I hold a BA in Education with a concentration in Communications and Creative Writing. After graduation, I taught in the Hillside, NJ and Newark, NJ public schools before becoming a fulltime writer and proofreader/editor. Some of the things I like to do in my spare time include spending time with my family, writing, music, watching movies, enjoying the outdoors in both summer and winter, and following the Pittsburgh Pirates and the Pittsburgh Steelers. Currently, I live in Clinton, NJ with my family. By all means. The safety of a loved one is more important to me than rules dictated by others. Sometimes doing the right thing is something bigger than what the law mandates. Being alive is nothing more than waking up above ground each day and breathing oxygen. Truly living means going beyond mere existence, by exploring new things, seeking opportunities, and building relationships. I am motivated to write by the desire to find new ways to present humor in serious situations. Ever since I was a teen, I’ve loved noir stories and the snappy one-liners that peppered the dialogue. The best one-liners were those that could make me laugh. I’m always interested in exploring language and what makes humor work. The payoff comes when a reader laughs out loud and lets me know that something I’ve written has tickled their funny bone. Humans have a primal desire to procreate. It’s in our DNA, and is driven mostly by evolution. That said, having children complete our lives in ways that other relationships are unable to do. No.5 What was the biggest challenge in creating your book “When The Wind Blows”? For me, I had a tendency to repeat myself during the writing process. While working on the second draft of WTWB, I discovered that I had repeated certain descriptive words, phrases, jokes and sentences throughout the book. I also found that two of my characters had told the same situational story at different points in the narrative, even though only one of them had experienced the situation. Fortunately, I was able find the repeated items, and then fix and rewrite them to make the story better. I have learned that you will not be happy if you live your life trying to satisfy others. Instead, it’s when you find that special thing you want to do, and act on it regardless of what anyone else says. The same goes for relationships. I’ve seen it many times, when people make life choices based not on their will or interest, but on the opinions of others. Those choices almost never work out. No.7 How did you come up with the title “When The Wind Blows”? The title comes from a line in the film Joe Somebody, when Tim Allen’s character says, “My ex-wife put a pretty big hole through me, and, uh, it still hurts when the wind blows through.” This is my book protagonist’s sentiment toward his ex-girlfriend, even though it was he, himself, who had caused their breakup. The title also points toward the protagonist’s decision to make things right with the ex, when he discovers they have a daughter together who has been kidnapped. If it’s positive, constructive criticism, I’ll find a way to use it. If it’s negative or unusable criticism, usually when someone has poured me a glass of Haterade, I ignore it. I don’t have time for distractions. When The Wind Blows is a fast, entertaining story that combines mystery, humor and romance. It grabs the reader from the beginning and doesn't let go. Set in a rural New Jersey, (yes, New Jersey has rural farmland, and not everyone lives near a Turnpike exit) the narrative takes the reader on a journey of twists and turns and is filled with raw emotion. The first half of the book introduces the reader to Louis ("Mac") McMurphy, a funny, quirky newspaper reporter/editor, and his eccentric friends and acquaintances in small town Spruce Run, NJ. As the story develops, the reader begins to understand Mac's demons and his quest for redemption. The second half of the book explodes with startling revelations, mysteries, betrayals, and other harrowing developments. The pace and level of tension in the second half will leave the reader gasping for breath, yet unable to put the book down. Throughout the novel, themes of spirituality, loyalty, and small town ideals are explored along with an over-arching love story. Loaded with one liners and side bars that range from hilarious to heartfelt, the unexpected twists and turns takes the reader on quite an odyssey. This is a tough one, but here it goes: We are all here, walking and breathing on Planet Earth, so that’s something. Without something, we wouldn’t be here. We’d have nothing. After all, nothing comes from nothing. Louis "Mac" McMurphy lives an idyllic life in Spruce Run, New Jersey. As editor of the Spruce Run Bugler, he enjoys nothing better than keeping up on current events and solving local crimes along with his best friend, a detective with the county sheriff's department. Five years sober, Mac is an alcoholic in recovery. He drives a late-model Dodge Charger and constantly dispenses jokes and one-liners as he tells his story. When a former love unexpectedly re-enters his life and a young child is kidnapped, Mac's idyllic life is turned upside-down as he is forced to confront his past in order to save his future.